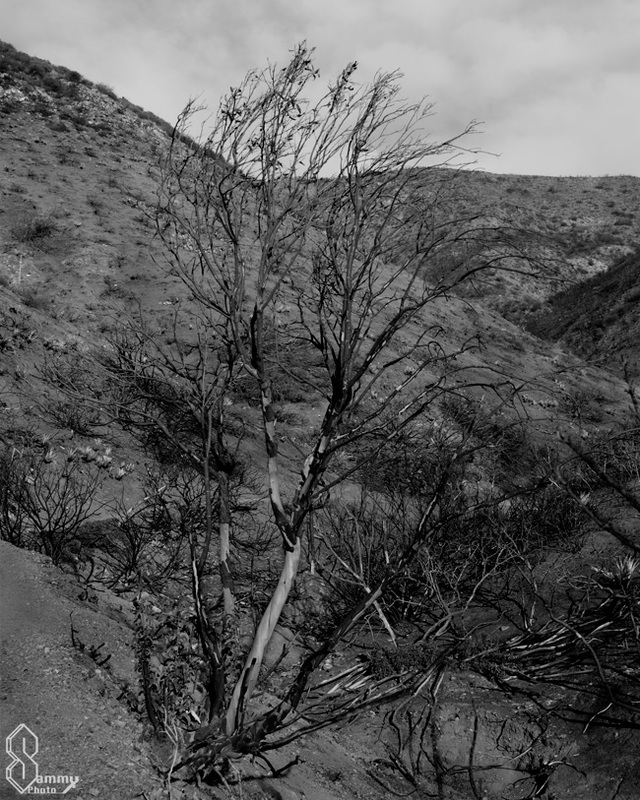 The Ray Miller overlook trail is still showing a lot of burn damage from the Springs Fire. 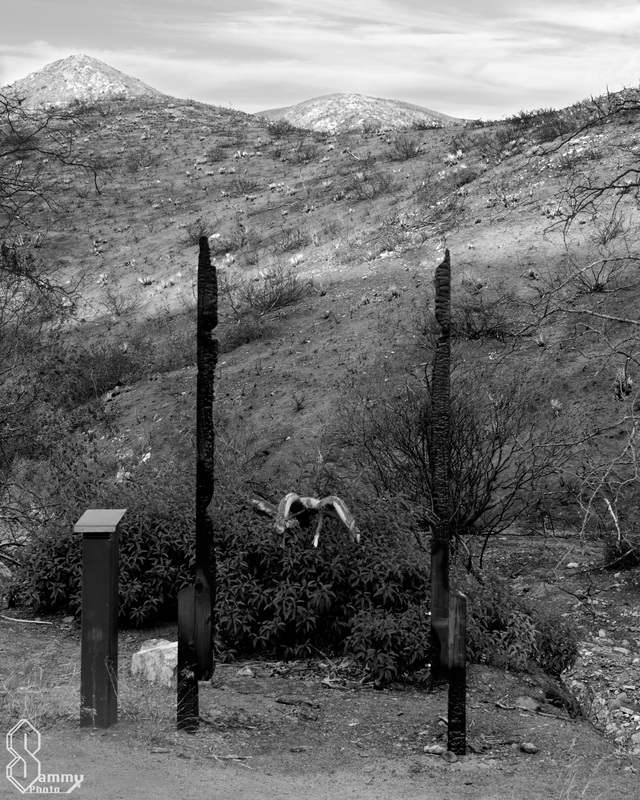 This first photo is the remains of the trailhead sign. 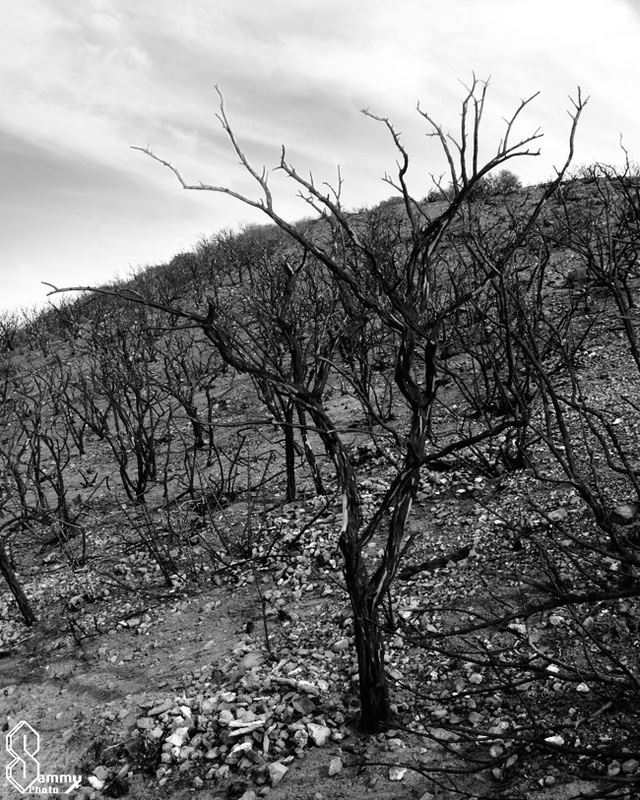 Nearly all of the vegetation in the park burned. No one knows how long it will all take to grow back. 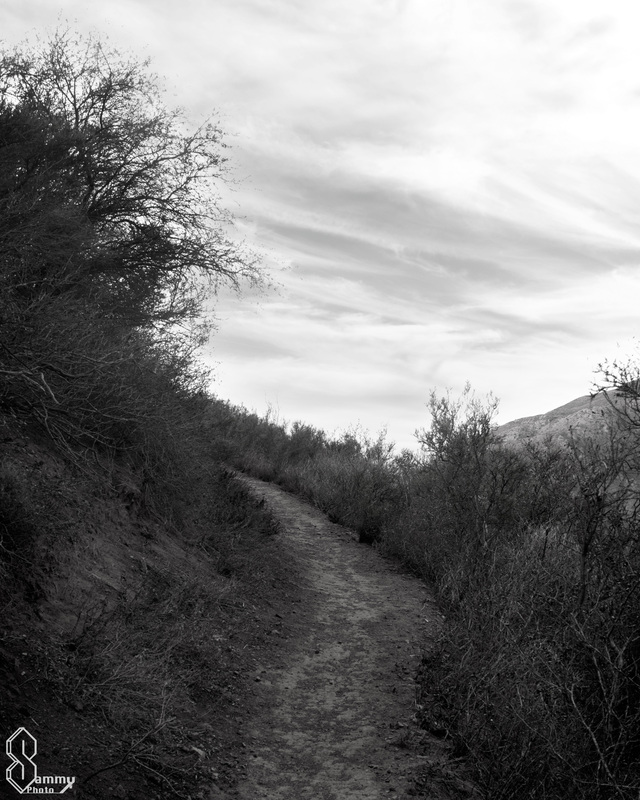 All of the 70 miles of hiking trails look just like this photo. I love this last shot it shows the dramatic change in the landscape.